Published in America by Alfred A Knopf in 2002. White. Like a clean piece of paper, like uncarved ivory, all is white when the story begins. 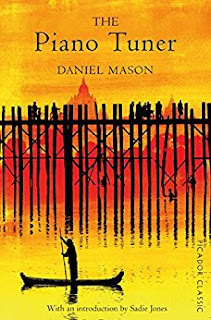 One misty London afternoon in 1886, piano tuner Edgar Drake receives an unusual request from the War Office: he must leave his quiet life and travel to the jungles of Burma to repair a rare grand piano owned by an enigmatic army surgeon. So begins an extraordinary journey across Europe, the Red Sea, India and onwards, accompanied by an enchanting yet elusive woman. Edgar is at first captivated, then unnerved, as he begins to question the true motive behind his summons and whether he will return home unchanged to the wife who awaits him. . . The Piano Tuner is set in 1880s England and Burma (Myanmar). Our protagonist, a shy London piano tuner named Edgar Drake unexpectedly receives a War Office request to travel many hundreds of miles in order to tune a rare piano. He will be paid generously with a year's income for what is planned to be a three month commission. Despite his initial reservations, he decides to make the journey - his first outside of England. I enjoyed Mason's writing when he describes the fabulous journey. Drake boards steamships and trains, travels through India as well as Burma, and Mason evokes the atmospheres, sights and sounds, colours and scents in wonderful detail. The mission itself does seem ludicrous, but having already read Giles Foden's factual account of the British Army's ship transportation through the Congo not so many years later, sending a piano tuner through Asia is simple by comparison! The Piano Tuner does rely heavily upon exposition however and I was disappointed at how much this slowed the pace. Drake is taught Anglo-Burmese war history through lengthy War Office briefing documents which we also get to read. The information is dry and, while kind of relevant, isn't needed in such depth. The same could be said of the piano information dumps - a little is interesting, a long diversion is too distracting. Characters are often deliberately vague which made it difficult for me to maintain interest in their plight and I thought the ending was unnecessarily rushed. I came away from this book feeling it owed much of its overall story arc to Joseph Conrad's Heart Of Darkness - which I am now tempted to revisit - but without that classic's power. First published in Icelandic as Timi nornarinnar in Iceland by Forlagid in 2005. English language translation by Anna Yates published by AmazonCrossing in August 2012. 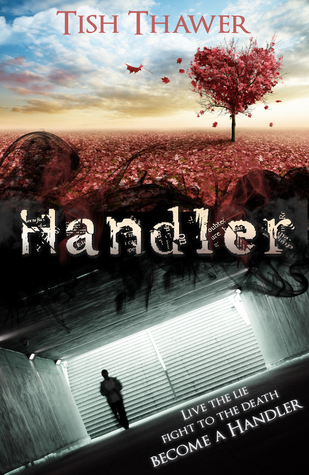 All evidence indicates an accident, but when the victim’s mother cries foul play, kindhearted Einar agrees to investigate. Just days later, the lead actor in Loftur vanishes, leaving the locals reeling—and Einar unconvinced that a single village could be so accident prone. Keenly perceptive and hungry for the truth, Einar begins to chip away at the quaint small-town facade, uncovering a tangled web of power and greed that threatens to devour the historic community for good. Season Of The Witch was a surprising read for me. Its chatty style felt more like a cosy mystery than the Scandi-noir I was expecting from the cover art. The novel is written in the first person from journalist Einar's point of view so we get to understand his character pretty well. Other people aren't so completely portrayed and some, such as the editor back on Reykjavik, felt stereotyped. The central mystery is an interesting idea, but it is intertwined with other personal storylines that I felt were included more for padding than necessity. The dog's disappearance for example leads into deep emotional territory, but this isn't explored more than superficially. 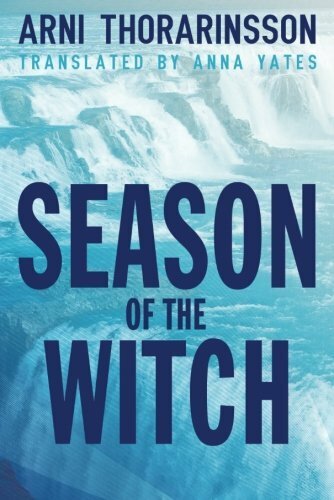 For a light post-Christmas read, Season Of The Witch fulfilled its purpose. It is entertaining and gives an idea of life in small-town Iceland - very different to that of the city! I didn't need to have read the earlier books in the series as the story here stands well alone. I just would personally have preferred less cosiness! Self published in the UK on the 16th December 2017. Eighteen-year-old Rose Davies is a Fresher at the prestigious Cambridge University. She dreams of punting on the river, reading Shakespeare in the famous library, and getting to know a town steeped in history. But Trinity College's newest professor, Christian Howard, is a dream of a very different kind - and, impossibly, the image of the man who saved her life when she was only six years old. Gemma Humphrey hails from the Sunny South-East coast of England, and lives with her boyfriend, Andy, their kittens, Orwell and Brontë, and hens, Rosie and Pepper. 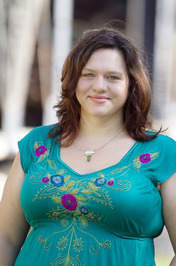 Working as the Property Manager for a busy and successful Opera House, she writes in her spare time. She is currently working on her long term project - Trinity - a New Adult Trilogy that follows the life of Cambridge student Rose Davies. 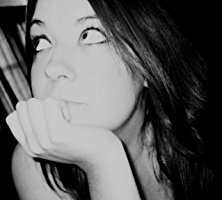 Gemma is an enthusiastic reader of all genres, and loves to write - and read - about all things fantasy, YA/NA in particular. She is a world builder and her work is littered with cultures and lands of her own creation, the more detailed, the better. Published in America by Curiosity Quills Press in October 2014. 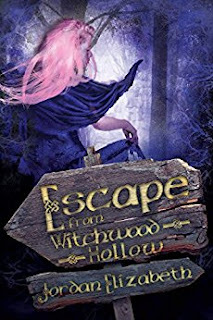 I received my copy of Escape From Witchwood Hollow from its author, Jordan Elizabeth, after being contacted via Goodreads by Jessica, a member of her street team. The book is a Young Adult supernatural tale, so not one of my usual genres, but I could see it already had other good reviews so I took a chance. Escape From Witchwood Hollow is set in three time periods. We begin in Autumn 2001 meeting Honoria on her first day at a new school. After the deaths of her parents Honoria has moved with her Aunt, Uncle and brother from New York City to a small rural community. She tries to cope with such massive life changes, but finds making new friends difficult, especially when she finds herself practically dared to enter the local haunted wood, Witchwood Hollow, in the middle of the night. 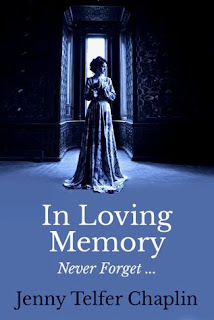 Jumping back in time, we meet up with Lady Clifford, a noble English immigrant to America in 1670 and a fugitive after she is accused of murder; and Albertine who is also English, although of much lower social class, and another immigrant some 180 years later when she follows her father across the Atlantic to make herself a new home. 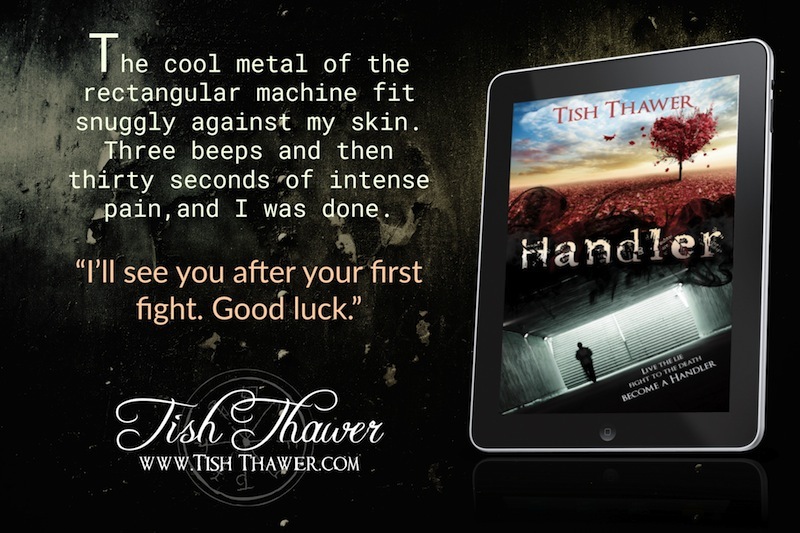 I enjoyed reading the three stories and loved the way in which they begin to intertwine. 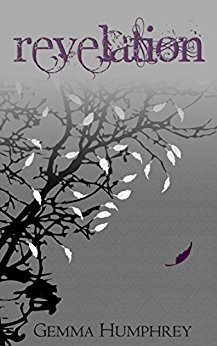 The storyline is much deeper and more intricately plotted than I expected from a YA novel and I found myself gripped by the twists and turns. Elizabeth describes her settings well and the story is brilliantly paced. Its air of menace grows steadily, yet the writing never becomes overly melodramatic. 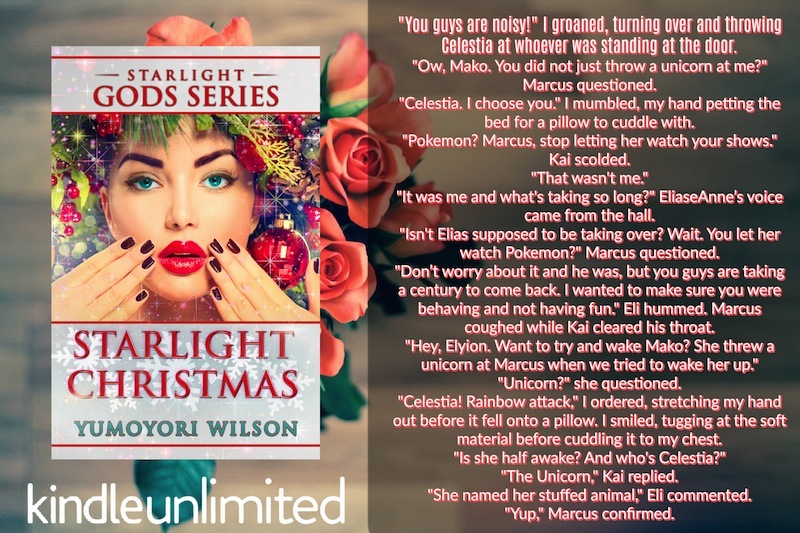 Perhaps some of the dialogue isn't completely true to its period, however, our three heroines are distinct characters making difficult but believable decisions, and the supernatural angle made this a perfect ghostly read for Christmas Eve. First published in Finnish as Tytto ja pommi in Finland by Crime Time in 2014. English language translation by Kristian London published by AmazonCrossing in October 2015. Rust and Metro live life to the fullest in the small Finnish city of Kotka. The lovers work together by day and write graffiti by night, always staying one step ahead of the law. But their luck runs out after an ambush by rogue security guards causes Rust to fall to his death. Having literally left their marks all over the city, Metro cannot help but be reminded of Rust everywhere she goes, making it impossible for her to move past the tragedy. Heartbroken and alone, she becomes determined to get to the bottom of her partner’s death and to exact revenge on those responsible by using the tool she knows best: spray paint. As she fights to bomb the system, she is constantly—and harshly—reminded of how unfair life can be. Up against lies, betrayal, and corruption, Metro musters the strength and inspiration to persevere in the name of truth and by adding beauty to an ugly world. I have been deliberately avoiding books with 'The Girl' in their titles for a few years now, but this particular example managed to get past my Derivative Titles filter and I am glad that it did so! I was intrigued by its premise and enjoyed the unusual crime mystery. The Girl And The Bomb is told from dual perspectives: graffiti artist Metro and her nemesis, security guard Jere. The speak directly to the reader in alternating chapters and this device works well. The two have distinctively different voices so I never got confused as to whose point of view I was following. Seeing certain pivotal scenes from both perspectives was interesting as well. Metro is perhaps a little too indestructible to be believable, but I loved her inventiveness and her grief-driven desire for revenge is utterly believable. Jarvela has a good eye for physical details which, combined with the graffiti artists' preferred locations - railyards, abandoned buildings, etc - I thought gives this novel a unique feel within the Scandinavian crime genre. I was reminded slightly of Missing by Karin Alvtegen at times as both novels seek to ask social questions as well telling a good tale. 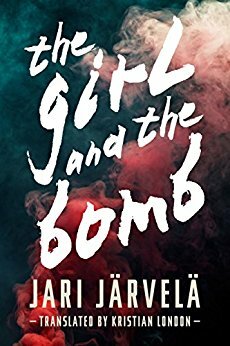 I've just bought The Girl And The Bomb's sequel and look forward to reading it soon. First published in the UK by Chapman And Hall in 1859. Novel by Charles Dickens, published both serially and in book form in 1859. The story is set in the late 18th century against the background of the French Revolution. Although Dickens borrowed from Thomas Carlyle's history, The French Revolution, for his sprawling tale of London and revolutionary Paris, the novel offers more drama than accuracy. The scenes of large-scale mob violence are especially vivid, if superficial in historical understanding. The complex plot involves Sydney Carton's sacrifice of his own life on behalf of his friends Charles Darnay and Lucie Manette. While political events drive the story, Dickens takes a decidedly antipolitical tone, lambasting both aristocratic tyranny and revolutionary excess--the latter memorably caricatured in Madame Defarge, who knits beside the guillotine. I read A Christmas Carol a while before Christmas last year - my first Dickens actually from the book rather than the TV! I thought it might be fun to make this author another of my Christmas traditions so chose the not-at-all seasonal A Tale Of Two Cities for this year. It turns out that I already knew the first and last sentences because they have become famous quotes: 'It was the best of times and the worst of times' and 'it is a far far better thing that I do than I have ever done'. For me this novel was a bizarre mix of some of the best descriptive writing I have read, interspersed with some of the most oversentimental claptrap and unrealistic dialogue. If Dickens was a modern indie author, reviews would surely be scathing! The timeline jumps at the beginning felt disjointed, but the story does eventually settle into itself. 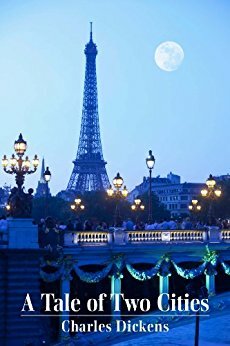 I loved his evocations of the poverty-stricken districts of Paris. Also the excitement and horror of running battles during the Revolution is breathtakingly well done. That knife sharpening scene in the courtyard! However, of the famed Dickens characters, I didn't see much sign in this book and I was completely underwhelmed by the love story! Charles Darnay is basically just bland and his dearly beloved Lucie is so saccharinely pure and Good as to be exasperating. Her only nod to a genuine personality is her rather disturbing habit of clasping men's heads to her breast at the slightest provocation. 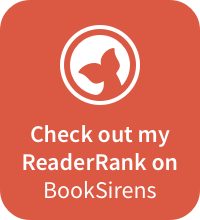 I was surprised to read in the publisher's notes that A Tale Of Two Cities is the most popular Dickens novel after Pickwick Papers. Perhaps its length has something to do with that? First published in the UK by Unwin in 1885. "Markheim" is a short story by Robert Louis Stevenson, originally prepared for the "Pall Mall Gazette" in 1884, but published in 1885 in "The Broken Shaft: Tales of Mid-Ocean" as part of "Unwin's Christmas Annual". The story was later published in Stevenson's collection "The Merry Men and Other Tales and Fables" (1887). Stevenson's story is very much of its time with most of the sixteen pages taken up by overwrought dialogue that is far too deep for natural conversation in the situation described. However, accepting that this is the case stops the melodrama from detracting from the tale. Markheim has led a poverty-stricken life, believing his thieving and worse to be the result of his circumstances. Now that perhaps he has sunk as low, morally, as it is possible to go, should he heed the words of a devil and profit from his crime or should he stand tall for once and Do The Right Thing? I liked this tense story and would have preferred it actually to have been a little longer. The claustrophobic shop setting is wonderfully described and I found it easy to imagine the situation. It would be a good story to read out loud or to act out on Christmas Eve and, of course, has a strong moral message of what disaster may ensue if Christmas shopping is left until the very last minute! Published by Endeavour Press in September 2013. Glasgow, in the early nineteenth century. Times are hard, and the the streets are crowded with desperate and starving people. Amid poverty and strife, an insurrection known as the Radical War is about to start and two women's lives will be changed forever. Maggie and Sheena are both fighting for the same man. Maggie is left with child by her unwanted seducer, and is forced by her family into an arranged marriage with Fergus to cover up the scandal. Fergus leaves his young sweetheart Sheena broken-hearted and in a similarly precarious position. Distraught she turns to Fergus’s brother Rab for comfort. Against the backdrop of turmoil and revolt, Maggie and Sheena must fight to remain true to their hearts. In Loving Memory appealed to me because of its setting - Glasgow at the time of the Radicals - which I didn't know much about. Unfortunately, I still don't know much because, while historical events such as the Radicals and the Bread Riots are namedropped, they are not explained. Most of the novel's convoluted plot takes place in our protagonists' homes where two-dimensional characters argue frequently and, again, without much background given so I found it difficult to understand the whys of many decisions. They speak in a phonetically spelt Scots brogue that took a little getting used to, but does at least add some atmosphere. However my main gripe is the device of huge events happening to our characters off the page. At one point a chapter ends with a family boarding a ship, then the next chapter starts five years after the shipwreck. Hello? What shipwreck?! Published by Alma Books in May 2013. Nine-year-old “Skid” Beaumont’s family is stuck in the mud. 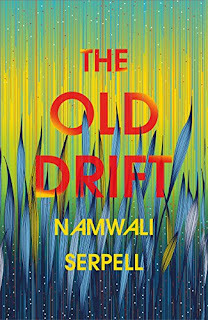 Following his father’s decision to relocate and build a new home, based on a drunken vision that New Orleans would rapidly expand eastwards into the wetlands as a result of the Seventies oil boom, Skid and his brothers grow up in a swampy area of Louisiana. But the constructions stop short, the dream fizzles out, and the Beaumonts find themselves sinking in a soggy corner of 1980s Cold War America. As things on the home front get more complicated, Skid learns of his mother’s alleged magic powers and vaguely remembers some eerie stories surrounding his elder brother Frico. These, as well as early events that Skid saw with his own eyes, convince him that Frico has a gift to fix things by simply sketching them. For the next few years, Skid’s self-appointed mission to convince his brother to join him in his lofty plan to change their family’s luck and the world they live in will lead to even more mystery and high drama in the swamp. Atmospheric, uplifting and deeply moving, Sketcher – Roland Watson-Grant’s stunning debut – is a novel about the beauty of life no matter how broken it is. I didn't realise that Sketcher was intended for a young adult audience until I came to research this post about the novel. Watson-Grant's vision of the Beaumont family's life in the New Orleans swamps gives a vivid idea of the harsh conditions out there. I could easily imagine their one-roomed shack - still 'temporary' after more than a decade - and the necessity of community to survive. I thought this book reminiscent of Jesmyn Ward's Salvage The Bones, but without anywhere near as much of the gritty horror of that novel. Sketcher is actually written from the point of view of the artist's younger brother, nine year old Skid. Skid believes in magic, especially that his brother can draw their way out of trouble and also that his mother has brought her obeah powers with her from her native island of San Taino. I wasn't always convinced by the way in which the magical occurrences were integrated into the story. There is an environmental anti-fracking storyline as well which I liked in its own right, but I felt the various narratives sometimes felt too forced together. 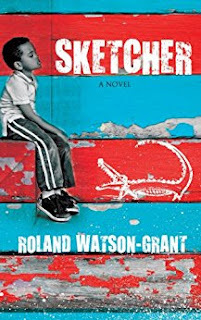 For an illustration of non-traditional American life, especially for younger readers, Sketcher is a good book to pick up. Personally I am not sure that I will go on to read its sequel though. 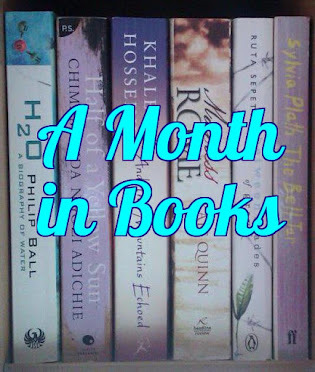 Published by Claire Casey in May 2016. Robert Tannahill was born into a weaving family, in Paisley. He followed his father in weaving, but would write poems and songs as he worked. He tragically killed himself, at the age of 36. It was once joked that the weavers of Paisley were also all poets. The most famous of these weaver poets, was Robert Tannahill (1774-1810), who was a contemporary of Robert Burns. Tannahill’s name and work may not be as famous as that of Burns, but with Paisley having come so close to gaining City of Culture status for 2021, there is no better time than now to highlight him and his work. 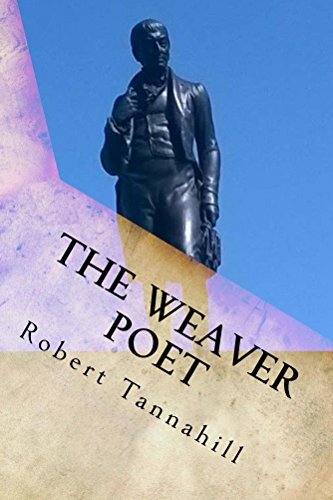 Starting to write his poems in 1804, in the wake of Robert Burn’s death, it is believed that Tannahill had a small desk attached to the side of his weaver’s loom, which was kept stocked with pens, ink and paper. This was simply so that he could write his songs and poems, while he continued to work. Despite a deformity to his right leg, which was slightly shorter than his left, Tannahill was a keen walker. One of his favourite haunts was the Gleniffer Braes, which mark the southern most limit of Paisley. Part of the Braes are now a country park, with one of it’s walks being named in Tannahill’s honour. These walks on the Gleniffer Braes became one of the main influences on his songs and poems. After the success of his first collection, Tannahill believed that his second collection would be accepted for publication. Unfortunately, it was rejected, sending Tannahill into a spiral of depression, which led to tragedy. One night, his friends discovered that Tannahill had left the cottage that he shared with his widowed mother. No-one had realised that he had done so, until his friends had stopped to check on him. A search party was quickly organised, and it didn’t take long for Tannahill’s jacket to be found, folded neatly on the banks of the Paisley Canal. His pocket watch had been carefully placed on top of his jacket. His body was found not long after, in the culvert for the canal. At the age of 36, he had taken his own life. He was buried in the graveyard of the Castlehead Kirk, which is only a short distance from his family’s cottage, which, to this day, is still referred to as Tannahill’s cottage, which stands on Paisley’s Queen Street. Tannahill was one of the founding members of the Paisley Burns Club, the oldest Burns club that is still in existence. The members of this Burns club continue to meet at Tannahill’s cottage. In 2010, on the 200th anniversary of his death, an exhibition was held in memory of Tannahill. Portraits of the poet were displayed along side some of his personal effects. 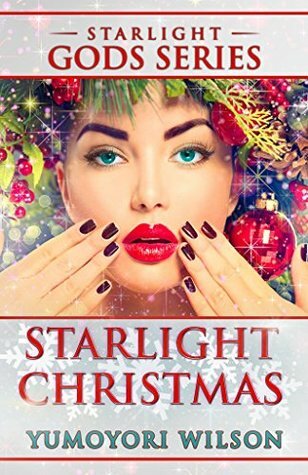 Published in America by Amber Leaf Publishing on the 19th December 2017. Open internationally until the 7th January, the prize is a Kindle Fire and $25 Amazon gift card. 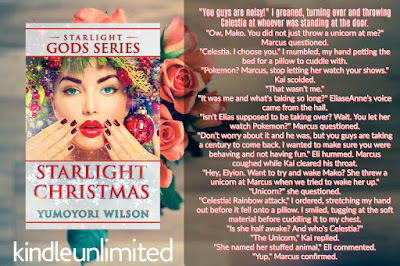 Published in America by AmazonCrossing today, December 19th 2017. Enter the Goodreads Giveaway for the chance to win a copy of The More Known World. 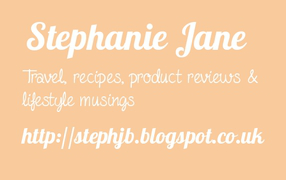 Giveaway closes on January 7th. 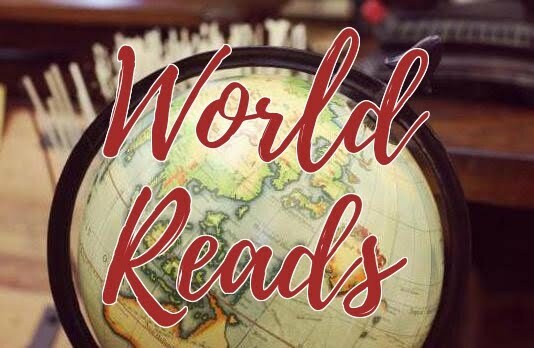 The More Known World is set a couple of years after the first book of this series, The Oddfits, and continues the story. I would definitely recommend reading The Oddfits first otherwise I don't think you'll have a clue what is going on in The More Known World! 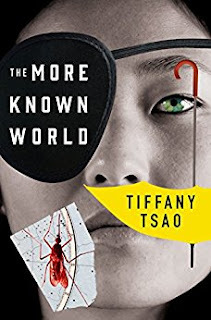 Tsao is again on great form in imagining the wonders of multiple worlds, each with their own idiosyncratic climates and colours and, in one, with animals that have all evolved from mosquitoes! Murgatroyd Floyd only plays a supporting role this time around which is a shame as his unique character and situation was one of the aspects of The Oddfits I loved the most. However, instead, Tsao now concentrates more on Murgatroyd's mentor, Ann Hsu. Through memories, Tsao contrasts the absolutely competent leader Ann with her childhood self, An An, a young girl of Vietnamese origin whose mother is obsessed with finding success on the American child beauty pageant circuit. An An's experiences in this rarified world are frequently as bizarre as Murgatroyd's had been in Singapore. I hope this series continues as I thoroughly enjoyed Tsao's explorations of people dislocated from their immediate society. Personally I feel I can identify to a degree with oddfittingness and I loved the idea of the community where inane small talk is considered the height of bad manners! Self published in America on the 22nd December 2017. 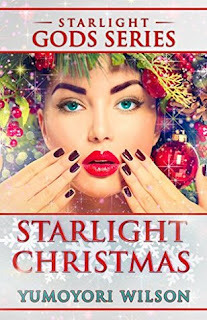 Starlight Christmas is apart from the Holiday Series. It will be FULL-LENGTH novel and does not take place during the same timeline as the main series. It’s recommended to read DARK WISH - BOOK ONE of the Starlight Gods Series to understand/enjoy this novel. Open internationally until the 7th of January, the prize is a $10 Amazon gift card. Published in America by TriQuarterly Books today, December 15th 2017. How do we transform the wreckage of our identities? Cynthia Dewi Oka’s evocative collection answers this question by brimming with what we salvage from our most deep-seated battles. 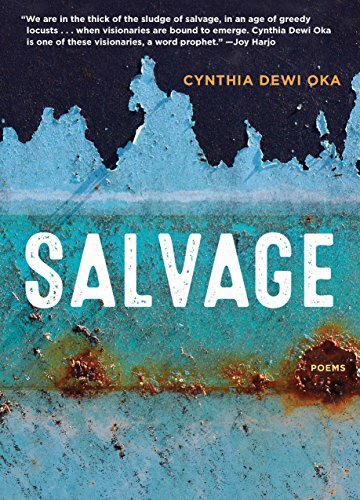 Reflecting the many dimensions of the poet’s life, Salvage manifests an intermixture of aesthetic forms that encompasses multiple social, political, and cultural contexts—leading readers to Bali, Indonesia, to the Pacific Northwest, and to South Jersey and Philadelphia. Throughout it insistently interrogates what it means to reach for our humanity through the guises of nation, race, and gender. Oka’s language transports us through the many bodies of fluid poetics that inhabit our migrating senses and permeate across generations into a personal diaspora. Salvage invites us to be without borders. I looked forward to exploring this volume of poetry, but unfortunately found it way beyond my comprehension. There are flashes of imagery, some violently graphic, which I understood and I have no doubt that for someone familiar with Indonesia or this style of poetry, Oka's poems could be very powerful. However I found her poetry too disjointed to follow so did not finish the book. Self published in America on the 15th December 2017. 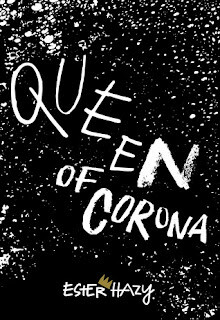 Queen of Corona delves into the mind of a young American adult growing up in today’s multicultural society. It is a human look at contemporary existence “from the bottom of the barrel.” It tells the story of a high school senior who is running after a student protest ends in tragedy. She is ushered onto an airplane by her mother, headed back to the land of her ancestors for the first time in her life. Her journey is both a way of escaping a seemingly dead-end existence and a chance at rediscovering herself by stepping outside the confines of societal standards. Queen of Corona is a coming-of-age novel in a dangerous age, in the age of Trump and all the forces stirring with and against the American president. 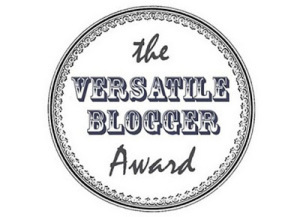 Esterhazy is a journalist, writer and translator. 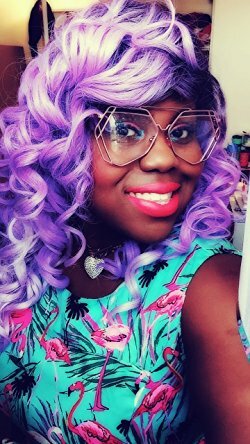 A native New Yorker, she holds degrees in Comparative Literature from New York University and American Studies from the University of Warsaw. 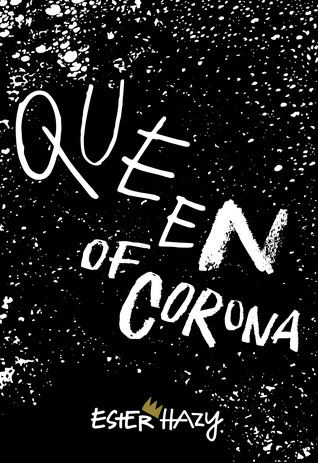 Queen of Corona is her debut novel. Open internationally until the 7th of January, the prize is a signed copy of Queen Of Corona. First published by Presses de la Cite in France in French as Un Noel de Maigret in 1951. English language translation by David Coward published in the UK by Penguin on the 2nd November 2017. Penguin have republished a trio of seasonal Maigret short stories, collectively entitled A Maigret Christmas, and offered me a review copy of the first story. 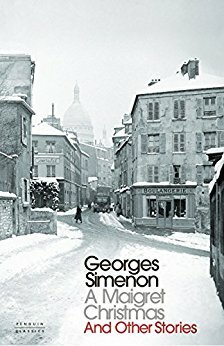 The only other Georges Simenon book I have read was very different and I never watched any of the television adaptations so I wasn't previously familiar with the Maigret crime mysteries. In some respects A Maigret Christmas was a good place to start discovering the series. The short story is set over the course of Christmas Day in Paris and mostly takes place in Maigret's own apartment and that of his neighbour. I liked the strong sense of the time period - I believe the story was originally written in the 1950s and set in the 1930s - and the telling details of people's dress. You just know a woman isn't quite respectable if she leaves her home without stockings on! I liked the glimpses into a French Christmas Day such as bakeries still being open to buy fresh croissants. With regards to the case itself though, I found it hard to believe that so much of the research demanded by Maigret of his staff could have been carried out as swiftly as the tale's timescales required. Lots of the logic jumps and conclusions seemed just too convenient for my tastes and the small cast of characters made it pretty obvious where we would end up - although not exactly how we would get there. Overall I thought A Maigret Christmas was a quaint mystery with a nice seasonal vibe. First published in Russian in Russia by Livebook in 2009. English language translation by Yuri Machkasov published in America by AmazonCrossing in April 2017. I received my review copy of The Gray House back at the beginning of 2017 but, being intimidated by its 700+ page length, kept putting off even starting to read it until now. This was a serious mistake - The Gray House is absolutely brilliant! Seclude-yourself-for-a-week-with-your-phone-turned-off breathtakingly brilliant! 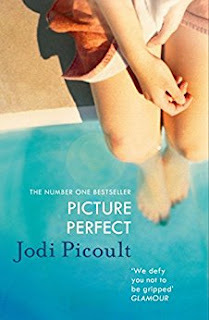 I could easily write a whole review of fangirl superlatives, I loved this book that much. Yet, that said, it won't be to everyone's taste. I have seen other reviews using The Lord Of The Flies as a comparison and inasmuch as that book centres on a group of unaccompanied boys I can see their point, but I wouldn't necessarily agree. 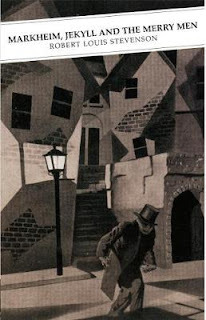 Perhaps if Salman Rushdie had written Gormenghast the result might be closer to the fantastic and fantastical richness of The Gray House? I obviously want to impart as much of my enthusiasm as possible, but am struggling to describe Petrosyan's novel in a way that will do it justice! It is set in a neglected House for physically disabled children, children who have mostly been effectively abandoned there by their families so, other than attempts at lessons, the tribes of boys (and, later, girls) are left to their own devices. Living by complex sets of rules and Laws, we see their limited world through their own eyes. I loved that this world is limited by the borders of the House, not by the various disabilities. Ingenuity, inventiveness and camaraderie seem to render most disability irrelevant. The story is told from different points of view, some first person and some third person, with each speaker having their own distinctive voices. 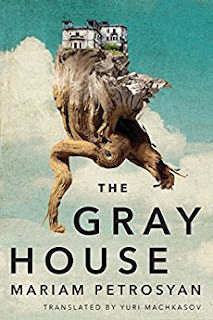 The Gray House is divided into three books each with their own lengthy character list at the beginning, but I didn't bother with the lists as I soon found myself easily identifying and remembering characters by their Nicks (nicknames) and actions. Like new boy Grasshopper, it took me a while to settle into the House, but once I began to understand its ways and its stories, I was absolutely engrossed. Self published in America on the 6th December 2017. In this tale as old as time, Isabelle Hawking must tinker a solution to a heartbreaking mystery. When Isabelle Hawking and her papa set out from London on a sea voyage, Isabelle is thrilled. Visiting foreign courts, learning from master tinkers, and studying mechanicals is her dream. And it doesn't hurt that the trip also offers Isabelle an escape from her overbearing and unwanted suitor, Gerard LeBoeuf. But Isabelle never arrives. Swept up in a tempest, her ship is lost. Isabelle survives the storm only to be shipwrecked on a seemingly-deserted island. The magical place, dotted with standing stones, faerie mounds, and a crumbling castle, hints of an ancient past. Isabelle may be an unwilling guest, but her arrival marks a new beginning for the beastly residents of this forgotten land. 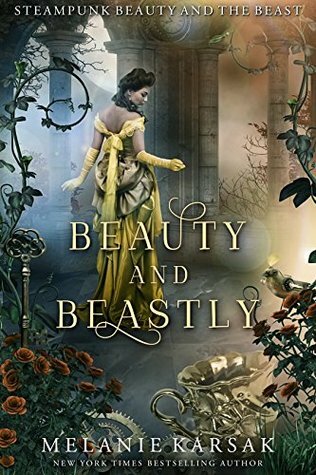 See how NY Times bestselling author Melanie Karsak puts a steampunk spin on the classic Beauty and the Beast fairy tale. The sky overhead darkened, and in the distance, I heard the rumble of thunder. I looked up at the sky. My head swam. I needed to find shelter. I turned to go back to the path, but when I did so, I didn’t see the path, nor the ring of mushrooms, nor anything else vaguely familiar. Once more, the sky rumbled. I felt the first of the raindrops on my head, but luckily, the thick leaves overhead sheltered me somewhat. As the storm rolled in, the forest grew dark. I cast a glance around. It didn’t matter which direction I went. Eventually I would find the shore once more. Turning to head out, however, I spotted a bluish colored light in the distance. A house? A fire? A lantern? A…something. Turning, I followed the bluish glow. I headed deeper into the forest, chasing after the light, but soon found its source. It was a mushroom. The glowing mushroom had been sitting on a rise. It had played a trick on my mind. Then I spotted another glowing fungus, then another, and another, all of which held an incandescent blue light. They grew in a straight line. Without a better recourse, and feeling half suspicious of the supernatural, I followed the glow of the blue mushrooms as the rain pattered overhead, the sky rumbling. I followed the blue lights deep into the ancient woods, aware that I was passing other sacred rings. I walked past a mound of earth, a barrow, the final resting place of some ancient person—and some said a passageway to the Otherworld—as I hurried deeper into the woods. Surely I would find the shoreline soon. Then, on the horizon, I saw golden light. A fire? I squinted my eyes, trying to make out the shape through the trees, but my head ached miserably. Leaning heavily against my staff, I moved toward the golden colored light. The forest thinned. The glowing mushrooms led me onward toward the glow of the yellow light in the distance. Praying to find someone—anyone—I followed along, well aware that my quick exertion had my stomach rolling. Black spots wriggled before my eyes. The line of mushrooms ended. To my shock, I’d blundered to the center of the island and found myself standing outside the gates of a castle. I gazed up at the enormous structure. It towered over me, a black silhouette on the horizon. Light glowed through one of the windows in the upper floors. It was raining in earnest now. Not waiting a moment longer, I pushed the gate. It swung open with a creak. I leaned my walking staff against a metal bench in the perfectly manicured garden, then grabbing my skirts, I ran for the castle door. As I rushed, lightning flashed. It created an odd illusion on the bushes and flowers around me. For a moment, they all seemed to glimmer like metal under the bright light. My temples pounded. My stomach rolled. I raced through the heavy rain to the castle door. Hoping whoever was at home would forgive me for letting myself in, I pushed open the castle door and crept inside. The place was eerily silent. Breathing deeply and quickly, I realized the moment I stopped that I was not well. I cast a glance toward a roaring fireplace nearby. A chair was seated before the hearth, a glass of something dark sitting beside the seat. I heard a strange clicking sound. “Hello?” I called again, but this time, my head began to spin. I put my hands on my hips, trying to catch my breath. I closed my eyes. Everything was twirling. “I-I’m sorry I let myself in but…” I began then opened my eyes. Standing before me was a massive automaton, its silver eyes staring coldly at me. A nauseous feeling swept over me, and my head swam. Black spots danced before my eyes. But the word was lost. 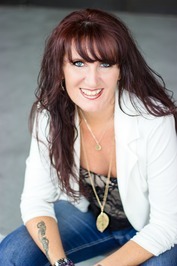 Join Melanie's newsletter and get 2 free books! Open internationally until the 31st of January, the prize is a Disney’s Belle Funko Pop, a Disney’s Beauty and the Beast Writing Journal Beauty and the Beast Light-up Rose Cup from Disneyland.